Selection of Schools under Best Available School Scheme for admissions into 1st and 5th Class only. In this connection, it is to inform that it is decided to admit the 1st class student through Lottery system and in respect of 5th class student through written exam only. In view of the above, the list of the examination centers for Best Available Schools in the state to conduct entrance Test for 5th Class SC students under the Best Available School Scheme on 10.06.2018 at 10.00 AM given below. 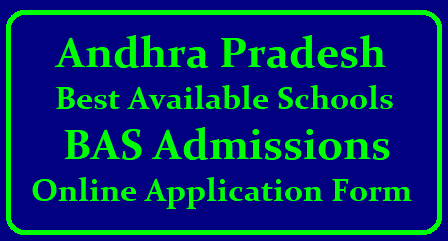 Enable the student Registration option for admission in to BAS Scheme for 1st Class lottery system in JananBhumi website. Enable the student Registration option for admission in to BAS Scheme for5th Class examination system in JananBhumi website.